Cotacachi fun comes in many ways. Every Ecuador village offers something. Cotacachi is special. Festivals are always unfolding! Last week there was the solemn gaiety of Easter…and the numerous Easter parades. Today the cultural center sponsors a music festival. 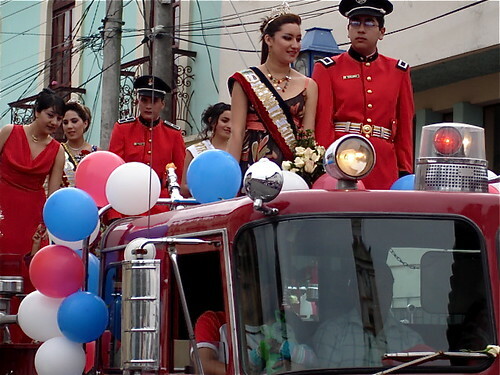 Yesterday the streets were closed for Cotacachi’s Queen. 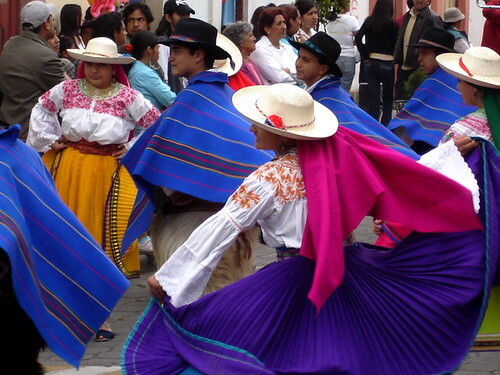 Cotacachi parades are filled with color. 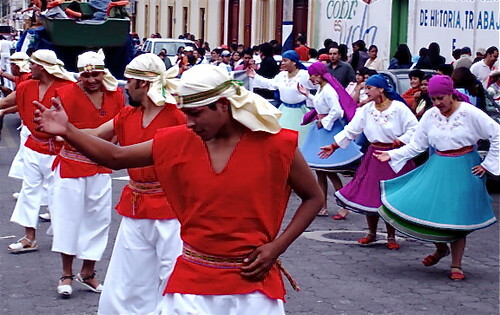 These dancers led the Cotacachi Queen’s way. There is excitement and much more.